Whether it’s a 50th Birthday Celebration, Holiday Party, Corporate Event, High School Prom, Military Ball, or Fundraising Gala, Historic 1625 is the perfect spot for your next event! At Historic 1625 we provide premium service for all our clients! Our full-time staff is here Monday through Friday to promptly answer your questions, meet with your planning team to help with all your details, and walk you through the venue to ensure that you are ready for your big event. We pride ourselves on replying to emails and phone calls within 24 hours for your ease of mind. Also, there is no limit on visits to the venue (and certainly no fee for doing so!). Parking at Historic 1625 is convenient, easy, and free for your guests. We have two private lots both of which are lit. The main lot on South Tacoma Way is also covered. Both lots are free to your guests. Historic 1625 is located minutes from I-5, Highway 16, and downtown Tacoma. Our central location makes finding the venue easy for all your guests whether they are coming from Seattle, Portland, or downtown Tacoma. Historic 1625’s layout is ideal for all sorts of festive parties! We have ample space in two separate but connected rooms. Begin your event with guest check-in and cocktail hour on one side of the venue and transition to the other side for dinner, dancing or the live auction. Historic 1625 offers hourly rates Monday through Thursday (and on Friday before 5 pm) for special events so that you can economically host your corporate meeting, breakfast or luncheon fundraiser. Historic 1625 allows you to have your event on your own timetable with flexible start and end times. Morning breakfasts can start as early as 6:00am and evening occasions can end as late as 1:00am. Our late curfew allows ample time for socializing and celebrations once the office doors have closed for the day. 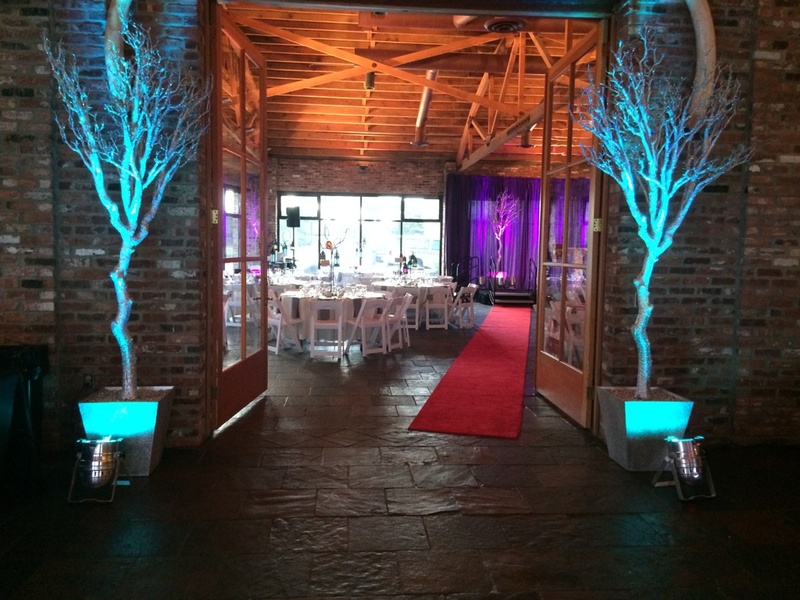 6 am – 5 pm: $300/hr Special event weekend rates apply for events going past 5pm. Includes 8 hours of time – Rental hours must include all set up and cleanup time. Two elegantly appointed suites for a coat check, child care space or break rooms for your volunteers, lecturers or entertainment. Maximum capacity is 350, additional tables and chairs are available to rent. Banquet and bar tables Including set up and take down. Provide the perfect back drop for your stage and guest speaker with our Back-Drop Package. Our stunning drapes provides a lovely focal point during the featured presentations. (We can offer 12’ or 15’ drape options.) With the addition of this package, we take care of set up and teardown, so you don’t have to. Invite your guests for a cocktail hour in our Collector Car Showroom. The guests will be amazed at our world class collection of high powered American made cars. The Collector Car Package is only available as an add-on to the rental of the main venue space. Contact us for more information! Includes one hour of time in the Collector Car Showroom with six cocktail tables. We would love to arrange a time for a personal tour of Historic 1625 for you! All tours are by appointment only and typically last 30 minutes. We are open for tours between 10 am and 6:30 pm Monday through Friday and up until 8 pm on Thursday evenings. If those times will not work we can also sometimes offer tours on the weekend depending on our event schedule.